Topaz: Topaz is found in a variety of colors but the traditional birthstone color is orange or yellow. When there are no impurities present, pure topaz is colorless. When impurities are present, Topaz is found in many colors including orange, green, gray, yellow, blue, brown, and pink. Topaz: Healing, peaceful and calming properties which also reduce anger. It also gives the wearer strength, courage and wisdom. Citrine: Good health, well-being and vitality. Inspiring hope, giving energy and boosting success. November’s first birthstone, the topaz, is a transparent gemstone often thought to be light yellow or blue, however, this diverse stone actually comes in a great variety of colors. Historically, topaz was used to refer to any yellow stone, but today the word refers to a silicate gemstone consisting of aluminum and fluorine. Pink topaz is mined in Brazil, Pakistan, and Russia, while light blue topaz can be found in the United Kingdom, Afghanistan, Australia, and the United States, among other locations. November’s other birthstone, the citrine, comes in fewer hues ranging from light yellow to a darker brownish orange, but is no less beautiful than the topaz. Citrine is a type of quartz and may often be confused with topaz due to their similarities in color. Historically, it is likely that references to topaz were often citrine. Topaz is naturally colorless, or clear, and it is the impurities in the stone that cause the display of color. While topaz may contain cracks or streaks, it is a very durable stone that mainly resists scratching. Ancient Egyptians used the topaz to symbolize the sun god Ra, due to its golden color. The Romans also associated the stone with their sun god. The word topaz may be derived from the Greek word “Topazios” which was the name of an island where a yellow gem was mined. 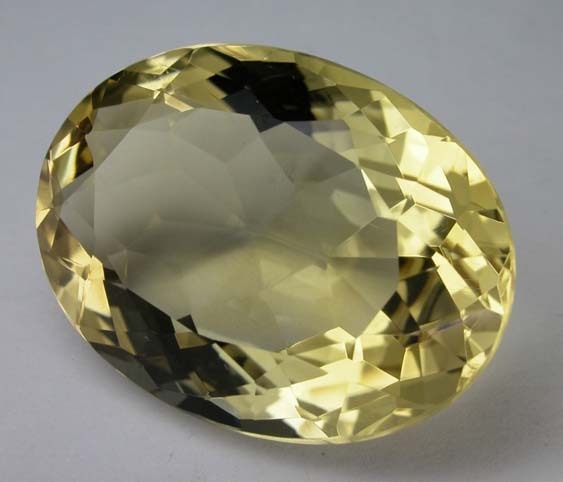 The yellow gem of the Greek’s was likely a gem other than topaz, probably citrine. Another possible source of the word, “tapas,” comes from Sanskrit and means fire. Topaz is almost universally thought to bring good fortune to the wearer. The ancient Greeks believed it conveyed strength and could even provide invisibility in rare circumstances. 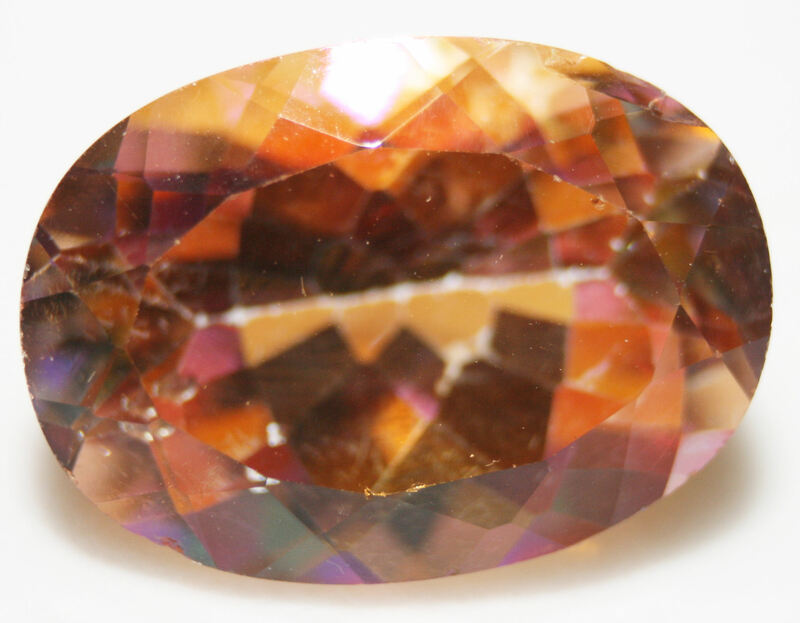 Different colors of topaz are associated with different months, and it is the traditionally the yellow or orange topaz that is associated with November. Citrine is much more common and less expensive than topaz. Citrine can be formed into much larger jewelry pieces than topaz, due to its lesser weight. The two stones are often indistinguishable by appearance, but differ in degree of hardness. Citrine is said to bring relaxation to the wearer and to have to ability to cleanse the body of toxins. Today, both the topaz and citrine are regarded as the traditional birthstones for the month of November. Topaz is associated with the astrological sign of Scorpio, while citrine often symbolizes Jupiter. Since the color of topaz comes from impurities infused throughout the stone, there are many colors of this gemstone to be found. The most common colors come in shades of yellow, orange, brown, blue, red, or clear. Topaz also comes in shades of green, pink, and even violet. Quartz comes in many varieties, and citrine is only one of these. Citrine is also known as yellow quartz and is mined in Africa, Australia, Brazil, and Japan, among other locations. The word Topaz comes from Middle English ‘Topaz’ and suggests a yellow sapphire. This has roots in Old French ‘topace’ which is based on Latin ‘Topazus’ and futher from Greek topazos . The word citrine is from Middle English ‘citrine’. This comes from Old French ‘citrin’ which means ‘lemon in colour’. The medieval Latin ‘citrinus’ is based on Latin ‘citrus’ which is from ‘citron tree’. Topaz is a Silicate mineral with formula Al2SiO4(F,OH)2. . It has an Orthorhombic crystal system with prismatic, columnar, compact, and massive crystal habits. It has a hardness of 8 on Mohs scale. It has a vitreous luster with transparency. It has a specific gravity of 3.49–3.57. Citrine is a variety of quartz that includes ‘ferric’ (i.e.iron containing compounds and materials) impurities. These impurities give it a yellow through brown coloring. It is silica, specifically, silicon dioxide with formula SiO2. Typically the quartz crystal habit shape is a 6 sided prism finishing with a 6-sided pyramid. It has a hardness of 7 on Mohs scale which can vary with the presence of impurities. It appears transparent or translucent and has a vitreous luster. It also has a melting point of approximately 1650 ºC. (≈3000°F). When topaz is synthesized artificially, impurities have to be carefully introduced in order to achieve the desired color. Any topaz that is not natural should be labeled. Natural topaz is often treated to achieve different colors and effects. Diffusion treatment is a chemical process through which the natural topaz is gradually heated to change the color of the outer layer. This often created gemstones in shades of green. Other heat processes are often used to create pink topaz. Quartz is a stone that is commonly found in large quantities, and as such, there is no reason to replicate it.